OOTP15 gives you the ability to hold fantasy drafts, not just with active players, but also with a combination of active and historical players. It is interesting to see how players from earlier years would ‘measure up’ against today’s competition. 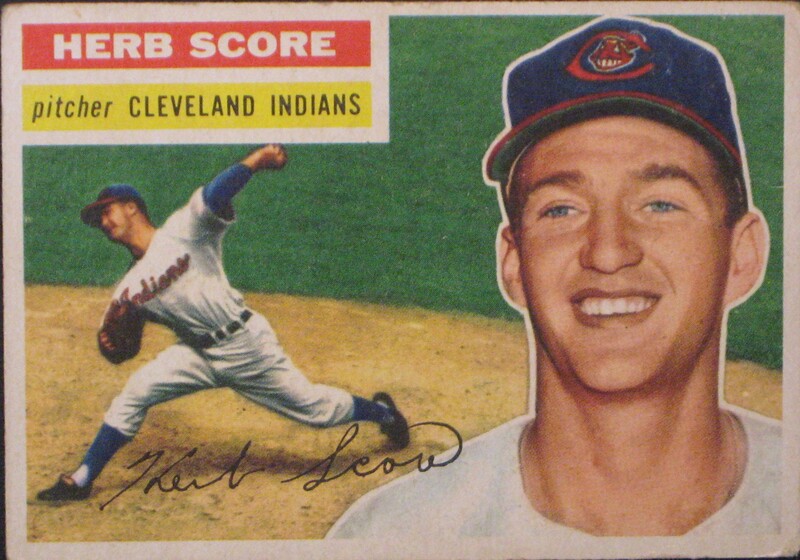 Today we will focus on one of those historical players, Herb Score. 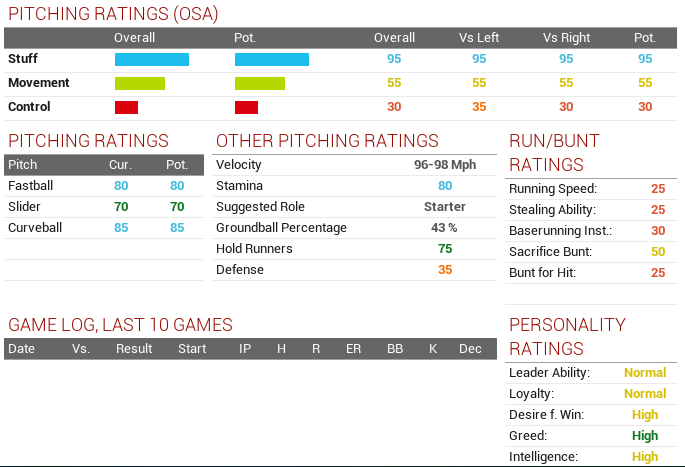 Below is OOTP15’s scouting report for Herb. Can you say superstar? Yes, Score is heading toward stardom in the big leagues. Score can make even the best of batters look foolish. He gets some nasty late break that makes batters just freeze up. Never seems to give up hard contact. When batters connect, they can’t do much damage. Confuses a lot of catchers. They set up low and outside, and the ball come in high and tight. Command is definately an issue. Score knows the game pretty well. In the book “The Greatest Team Of All Time” (Bob Adams, Inc, publisher. 1994), Mickey Mantle picked Herb Score as the toughest American League left-handed pitcher he faced (before the injury). 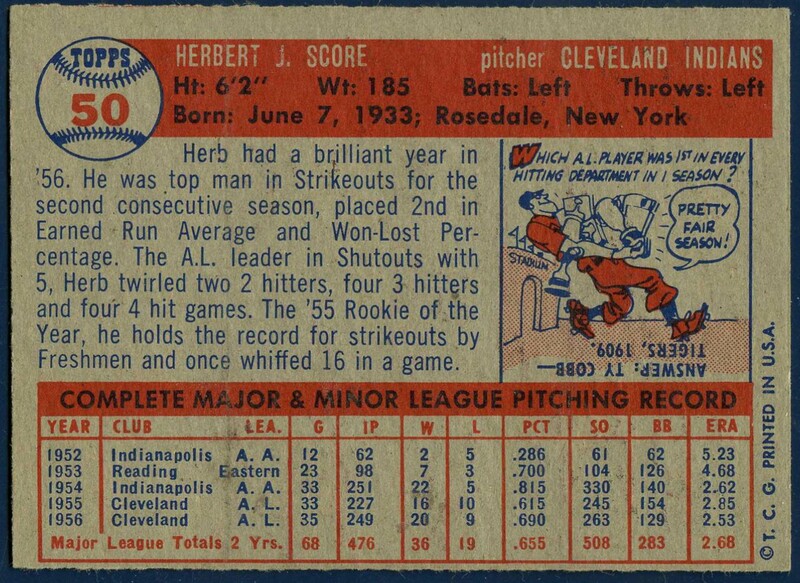 Yogi Berra picked Herb for his “Greatest Team Of All Time”. You can learn a bit more about the injury below. For reference, I am drafting a 23 year old Herb Score ahead of a 33 year old Greg Maddux. Would you do the same?